Thus wrote Christina Rossetti in 1885. 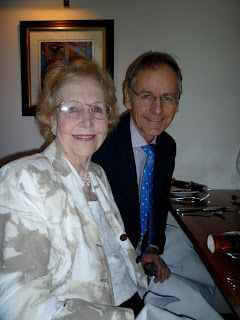 Yesterday my dear mother took our wider family out for a lovely meal at an old Georgian coaching inn (The George Hotel just a few miles north of Bedford. It was a wonderful act of generosity and we had a fabulous meal and a great time. Mum is not wealthy but she is generous. I thank God for her. In His coming Christ gave up all his 'wealth' in the world's greatest act of generosity.